Filled with gorgeous color, we see the "Unicorn in Captivity III" from the series of 7 tapestries "The Hunt of the Unicorn" from the period of 1495–1505. These tapestries were owned by the French La Rochefoucauld family for centuries. This scene is the last of the 7 scenes and comes after the scene where the unicorn is killed, and therefore represents the immortality of the unicorn. 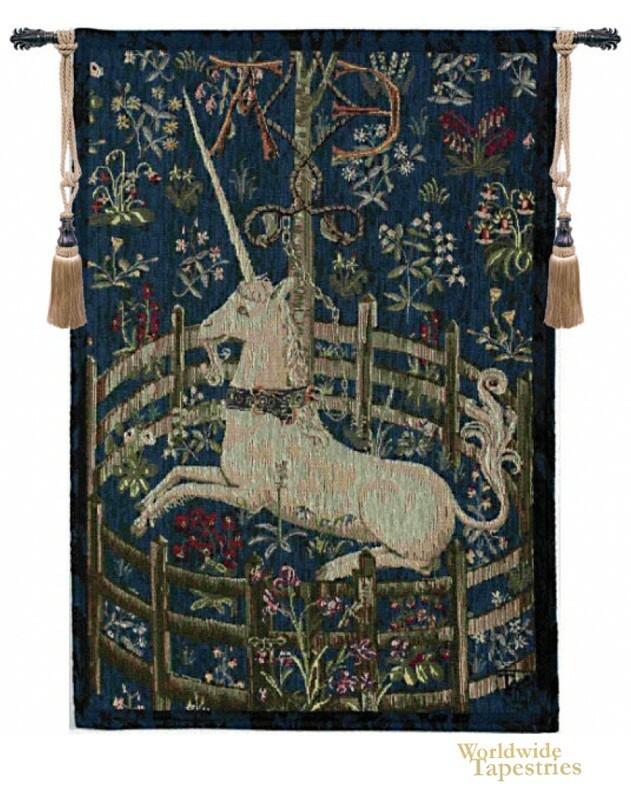 This wall tapestry "Unicorn in Captivity III" is backed with lining and tunnel for easy hanging. Note: tapestry rod and tassels, where pictured, are purchased separately.